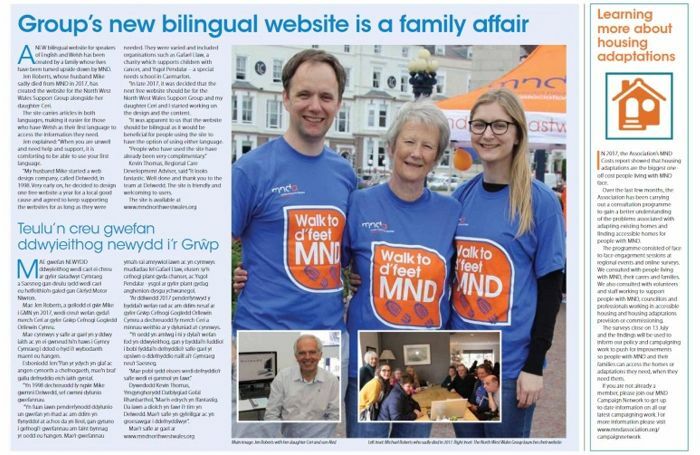 Delwedd Appear in the Motor Neurone Disease Association's Quarterly Magazine | Delwedd Ltd.
Delwedd recently launched a Free of Charge website for the Motor Neurone Disease Association: North West Wales Group. We worked closely with the group to create a website that would be an accessible and useful resource to those living with MND in the area, as well as their carers, their family and their friends. An important part of achieving this goal was that the website was bilingual, and fully available in Welsh & English. 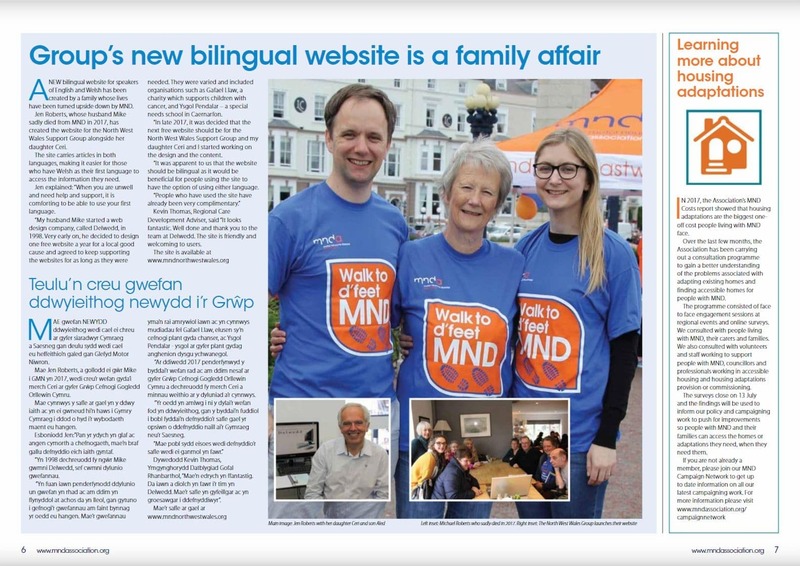 According to the MND Association, it is the first bilingual website for one of their branches or support groups, and they recognise its importance. They featured the group's website in their quarterly magazine, Thumb Print. The article also features a translation and is the first Welsh language article to appear in their national magazine. To view the latest Thumb Print magazine online, click here. To view the MND Association North West Wales Group website, click here.